This is the complete program for SMAK Nordnorsk Matfestival (SMAK North-Norwegian Food Festival). From Tuesday Sept. 18th to Saturday Sept. 22nd you will find plenty of things to do. The number of exhibitors is at a record high. In Storgata, at Prostneset and Kystens Hus, you will find more than 80 exhibitors Friday – Saturday. Everyone can find something of interest here. In lieu of the SMAK festival, Clarion The Edge will arrange an exclusive course in the art of dessert making. Join Tromsø’s dessert goddess Rita Anni Arden – Head of Pastry at Clarion The Edge – in an intimate class where you will learn how easy it is to make great desserts. This will be a unique opportunity to see the process of one of the most sought after pastry chefs in the city. Rita rarely ever holds classes, so we are very grateful that she’s giving us the opportunity to learn her thoughts, tips and tricks. Join us! Break with food serving included. Everything served is completely plant based. First come, first serve – 100 available seats. We learn how to bake old fashioned bread that has been given plenty of time to rise and is based on nutritious grains which are good for the body as well as the senses. This class will focus on sourdough and how to treat various grains for optimal nutrient absorption and to aid digestion. We will present various forms of grain such as hulled wheat, einkorn, barley, etc. You will also learn how to make home made spreads and sweets. Bring a bowl for baking (glass or plastic) a baking spoon and a clean glass jar. You will in return you get to take with you sourdough so you can have fresh bread in the morning, and a sourdough starter you can use to bake more. Included in this class you will be given several samples, and a detailed booklet. Oscar-winning Sofia Coppola’s interpretation of the life of France’s most fabled teenage queen Marie Antoinette is an explosion of colour and emotions, and easily one of the more fascinating movies of the precious decade. Betrothed to King Ludvig XIV, the naïve 14-year-old Marie Antoinette is thrust into the sumptuous French court, littered with conspiracies and scandals. Alone and without guidance, she steps into a dangerous world and rebels against the isolated atmosphere of Versailles, making her the most misunderstood of French monarchs. The ticket includes food served by Clarion Hotel The Edge in the form of French Ratatouille with dried and salted cod in the café before viewing. In addition will Kaffebønna offer sweet delicacies in true Petit Four fashion that you can bring with you into the theatre. Serving starts at 17:15 and the movie starts at 18:00. Fermentation is simple, exciting and fun! It ensures a long shelf life for your food, makes it more easily digestible as well as boost your immunity through a healthy gut microbiota. We will be fermenting vegetables, making a healthy ketchup, kombucha and kvass, and sample various other fermented food and drinks. You will be leaving with fermented vegetables of your own, as well as kombucha scobys. Please bring 3 glass jars – about 1 liter – as well as an apron, indoor shoes and something to carry the jars in! Tonight you will have the opportunity to eat your way through several exciting dishes that Tromsø has to offer, accompanied by fitting drinks. Regional micro-breweries and local food and drink producers serve their products in a familiar food court style. Taste and learn in a pleasant atmosphere. To gain entry to the lavvu, you will have to purchase a set of 8 vouchers for NOK 250. The vouchers can be exchanged for food and drink, and single vouchers will be available for purchase inside for NOK 30 each. This year, the SMAK festival is utilizing the entire main street of the city. Almost. The street will be lined with booths offering the very best of North-Norwegian cuisine. Eat out tonight! The building will be filled with the best and purest seafood the local coast has to offer. Come and taste, and learn. Do you ever feel like withdrawing from the bustling modern world so you can let yourself relax for a bit? Then Skansen is the place for you this weekend. For 2 days the café Bårstua will be transformed into a traditional eatery from the 1800s, serving historic dishes such as blood pancakes and soup with salted herring. Here you will experience the best local tourism has to offer. Become a valuable ambassador of our region for our guests; take time to come and learn what’s happening in the local scene. This year’s theme is Roots, as it has become a trend in later years. Root vegetables are a staple in many homes, making it clear that we’re looking to classic food traditions and nature, not only to feed our bellies, but our nostalgic hearts as well. Kl 11:00 – 18:00 – 2nd floor Blue Vision: display center for salmon. A live feed from the location of Gratangen salmon. Northern Norway is a popular travel destination, and the food is just as important as the experiences, as they have a natural connection to one another. This year we present the flavor of local cuisine so that the citizens of Tromsø can discover what’s right under their noses. Offering three specialty teas: Midnight Sun, Cloudberry and Northern Lights, as well as smoked salmon following a recipe Arild learned from Ivar Hauge; former owner of Levajok in Tana. The northernmost distillery of the world, producing gin, vodka, aquavit and whiskey beneath the mighty Lyngen Alps. All products are under the brand Bivrost®, which is what the Vikings used to call the Northern Lights. All products are also made with local ingredients, based on glacier water. The distillery lies 10km north of Lyngseidet, in a coastal fort from WWII. We are going to serve reindeer mini sliders with our own lingonberry dressing, drinks and alcohol free beer. We are also going to bring souvenirs from fjellheisen and make small portions of lingonberry dressing for sale. A small boutique hotel located between the mountains and fjords of Lavangen; a three hour drive south of Tromsø, far away from the city noise where you can truly relax. Here you will find the brasserie Naustet, where rustic food is served using the best of local ingredients from the mountain as well as the fjord. During SMAK we will be offering examples of the menu available to our guests. We will be looking forward to meeting you! An all year tourism business based on Ringvassøya; 40 minutes from Tromsø. In addition to overnight lodgings, conferences and transportation, a restaurant will be at your disposal. You can rent boats, purchase or rent fishing equipment, use our BBQ cabin, or relax at our spa facilities, which includes a woodfire sauna and outdoor massage baths. At the festival you can find our stand where we will be hanging out brochures and selling reindeer jerky from H. Mydland AS. «Originally from Trondheim, M/S Bjørnvåg is now docked in Tromsø. The ship was built in 1954 at Søviknes Shipyard in Syvikgrend – dock 34, originally meant to serve as a public ferry to transport people along the Møre coastline, and since then it’s been serviced by skilled people experienced with Norwegian waters. Our booth will be a place where you can stop and ‘chill’ for a bit. Take a drink, taste our wares and talk about the exciting projects we have in store for Tromsø. We also sell tickets for the serving aboard Friday-Saturday evening. The drink we have to offer is «No.5», Bjørnvåg’s barbera that will be launched later this month, and possibly champagne. The fish we’ll be serving is from Casper, who is also working on “Volda Floating Homes”, and it will be served with a side of roots and flatbread. During the SMAK festival will Mini Explorer serve blue and pink pancakes, plus a stew based on whale meat. Everything will be prepared on a camping stove to give visitors an idea of what to expect while with Mini Explorer. 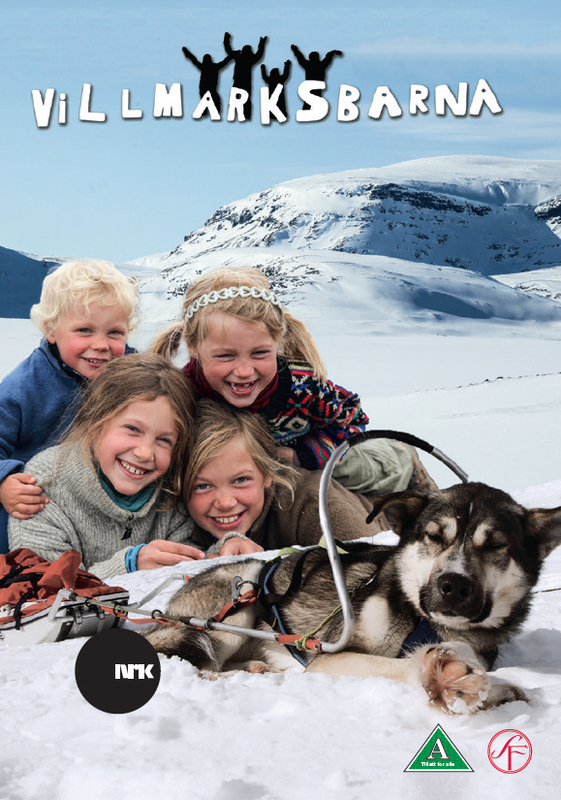 In addition, we will have an 8 month old samoyed puppy who is going to become one of our sled dogs.Mini Explorer offers kids and families memorable outdoor experiences of an arctic nature. These hikes take place both during summer and winter, and consist of small groups with guides at their disposal, where the kids can participate during the entire stay – alone or accompanied by a guardian. There will be treasure hunts, bonfires on the beach with local foods depending on season. During the evenings, babysitting at city centre hotels is also offered.Mini Explorer focuses on cooperation with local business and food. The beautiful and historic hotel Rundhaug in Målselv – only 2 hours from Tromsø – offers converences, private events, activities (like exclusive salmon fishing) as well as food and lodgings in nostalgic surroundings.Only a few minutes away lies Basecamp Snowman; Målselv Fjellandsby, with activities such as reindeer feeding, mushing, aurora viewing, snowshoe hiking, skiing, etc., in addition to a café, pub and restaurants for all kinds of events, Lodgings in apartments, cabins or camping.During SMAK, we will be serving local food and drink from the Målselv region, like home made salmon, moose, mutton, Målselv turnips, Jønnbread, rhubarb, blueberry ice cream, and more. Allow yourself to be charmed by the magical winter nights with its aurora borealis dancing across the sky, or the midnight sun during summer. We hope to have you as our guests.Tromsø Friluftsenter – also known for its appearance in “The Hunt for the Northern Lights – TV Norway 2018” – is a family owned company with deep roots in Northern Norway that offers charming experiences from the local coast, as well as cultural experiences in small groups.Whether you’re visiting the city or you want a team building exercise for your business, can we offer you trips that show off the city from the seaside using a RIB boat, or combined with visits to our farm in Risvika. A beautiful location for vacationing guests summer and winter, with aurora experiences, classes and conferences, parties and a farm café. This year we’re aiming for a unique atmosphere during the SMAK festival. For two days only, the café Bårstua will be transformed to an eatery from the 1800s. On the menu we have blood pancakes with lingonberry cream, soup with salted herring, stew, campfire coffee and campfire bread. Do you want to live healthy and sustainable even when things get hectic? Cook from scratch? Protect your gut microbiota? Then there’s a modern hunter within you! Don’t miss this lecture by author, blogger and traditional food expert Gry Hammer! In this talk, Gry will be sharing everything she’s learned about strategic and modern tools like smartphones and computers to give you the exact ingredients and suppliers you’re on the hunt form, be it a local farmer, the right online store, or eatery, meat from grazing animals, raw milk, kefir grains, or kombucha starters. Last but not least, she will show you how to store and cook these ingredients for optimal flavour and health benefits. It might be a good idea to bring your own cup and plate to SMAK! SMAK and SpareBank1 Nord-Norge are cooperating in order to reduce plastic waste during this year’s food festival, and they are asking their 70 000 visitors to help, encouraging them to bring their own cup, plate and utensils from home. Win local produce every day! Those who bring their #rotkoppen or another cup or plate to the festival are eligible to participate in a raffle both Saturday and Sunday at 14:00 in the Lavvu at Stortorget. In addition to this, the cup can be refilled in the Lavvu as well as at various stations at Prostneset, Kystens Hus and Skansen. Do you have a mug sitting in the back of your cupboard with deep roots? Show it off – and win a crate of local produce. Take a picture of your mug, share it on Instagram and tag it with #rotkoppen as well as doing it #fornordnorge and write a few lines about what makes this mug so special to you. Every day during the festival, a lucky winner will be chosen to earn great prizes. Friday Sept 21st 19:00 will you be able to combine a fantastic meal with live, swinging jazz entertainment by the band Rik & Berømt at Kystens Hus, 2nd floor. Rik & Berømt consists of 9 talented local musicians with a repertoire that will before, during and after dinner, satisfy and inspire dance culture in a wonderful way. You can either reserve a whole table for 8 for NOK 8900,- by contacting arrangement@kystensmathus or pay for a single entry through VIPPS at # 121437 Kystens Mathus, price NOK 1250,-. Reservations are binding. In cooperation with Northern Runners, we offer you exercise, knowledge and breakfast. 08:30 Jog – Northern Runners invite you all for a refreshing job that’ll suit beginners as well as experienced runners. We start with a warmup and finish with stretching. 10:00 «Eat Smart» – lecture about food, health and exercise. 11:30 – 12:30: Intro cook-off and jury – how does this work. Challenge Madelèn Rolland to a duel! We’re looking for 1 food loving person (7-10 years old) with their guardian. The team gets to see the ingredients in advance while Madelèn does not. Ready, steady, cook! During the cook-off, the host May-Tordis will be asking questions, and at the end a winner will be announced. 12:30 – 13:00: Music and kids food talk with a nurse. 14:00 – 14:30: «3 FROM 1» Dinner planning. Fine dining chef and culinary students from the University Hospital will present three different dishes from one base. Do you want to meet the Villmarksbarna and be inspired to spend more time outdoors? Mom Inger and the youngest Narve will take us on a trip in the form of talks and pictures, to teach us how to make the outdoors more fun for young and old alike. – Halvors explains how easy it is to use dried cod. Disney and Pixar’s classic Oscar winning picture! The movie is brought to you by Tromsø Barnefilmklubb in cooperation with the Verdensteater theatre. Afterwards will Clarion Hotel The Edge serve delicious rattatouile for everybody. Tickets and memberships for the children’s movies club are sold at the door!